Economic growth and the rise of China globally are reshaping the global system in the 21st century and continuing an unprecedented social transition within China itself. 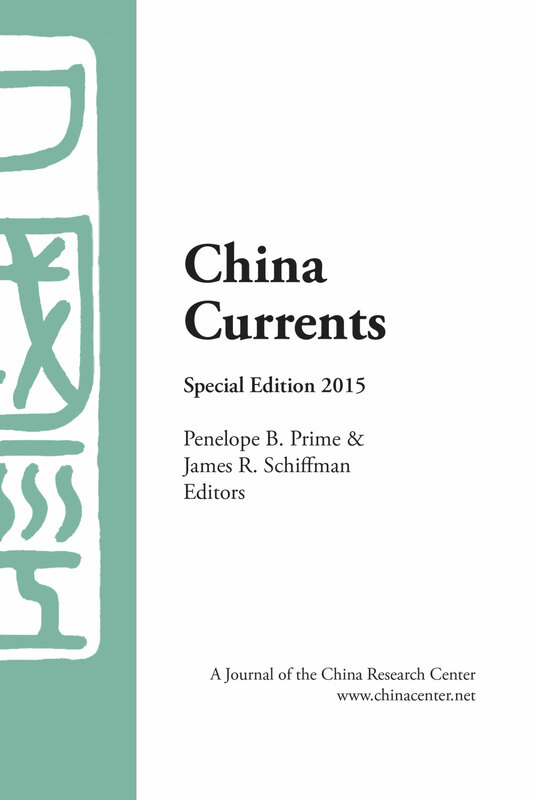 China Currents is a forum for thoughtful, concise articles analyzing society in contemporary China, published as an online journal by the China Research Center at ChinaCenter.net. Periodic special issues include selections from past issues, organized by topic. The 2015 Special Issue presents twenty-seven original articles published between fall 2012 and fall 2014, and covering history and society, the economy, business, politics and international relations, and a special section analyzing progress with the reform platform of the Third Plenum of the Eighteen Party Congress. Highlights include perspectives on the new social contract, environmental challenges, urbanization, the Trans-Pacific Partnership, changes in the business environment, the fight against corruption, and more. The Center would like to gratefully acknowledge financial support from our gold sponsors, East West Manufacturing and Project Success.